Hello World! It has been a while since i have developed a program using C#, so today i am going to develop a GPA calculator using the C# programming language. 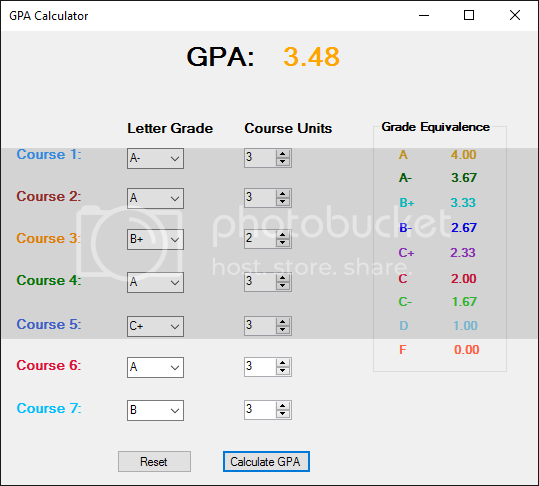 It is a simple GPA calculator that computes the grade of 5 subjects. Feel free to extent the program, so it can calculate more grades. can give main web form code? PLEASE I NEED THE FULL SOURCE CODE. Hello can i get a copy of this program ? Kindly send me full file of this code , or front end code. Can you send the source code?